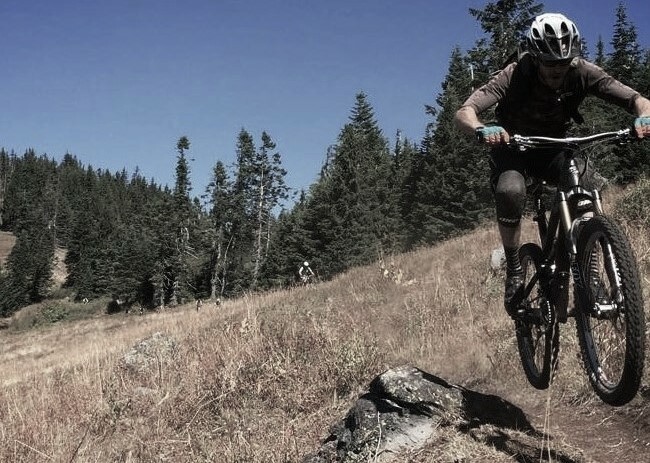 The Middle Fork Ranger District has requested GOATS to focus on trails in another location with a backlog of trail work to complete. GOATS is working diligently to resolve the logistics with all of our partners before the weekend. We have worked with the Army Corps of Engineers to rent the majority of Ivan Oakes Campground on the shore of Lookout Point Reservoir. This is another beautiful venue to base the campout. 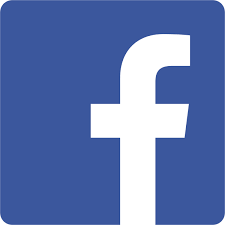 We will need to share campsites with your fellow volunteers, but if you would like more privacy, there will be additional sites to rent. 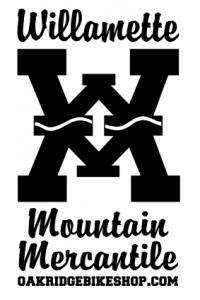 We will be working on the Tire Mountain, Cloverpatch & Winberry Trails. Note, there is more poison oak on these trails and in the campground. Please be prepared to wash yourselves and changes of clothing. 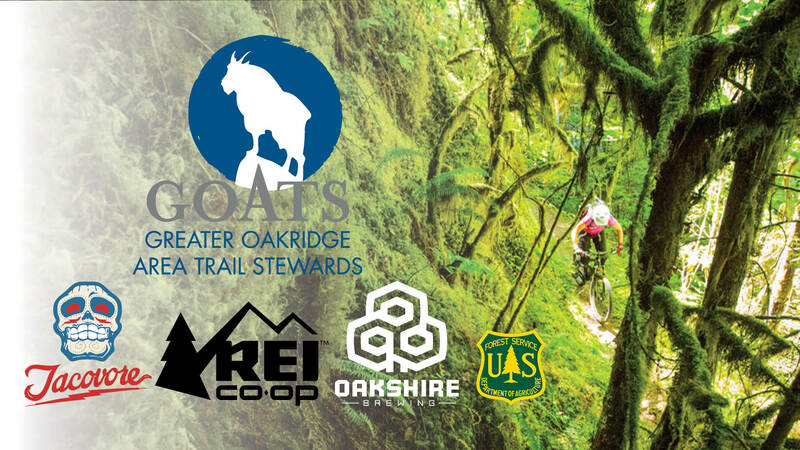 Join the Greater Oakridge Area Trail Stewarts (GOATS) in their flagship event June 1, 2, 3! A fun filled catered trailwork campout on the Middle Fork Trail. 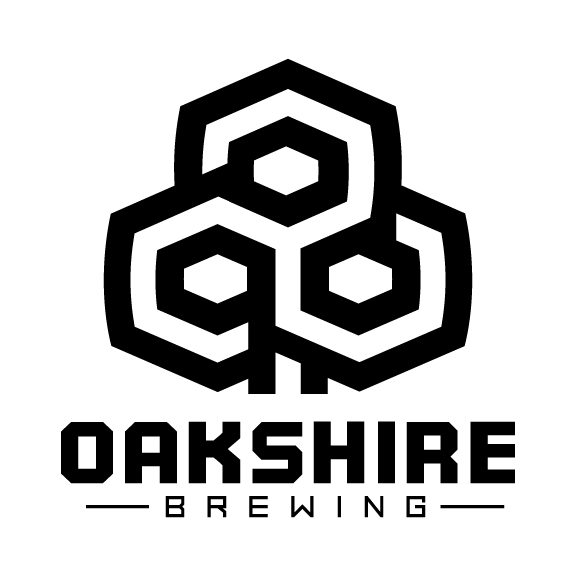 We are proud to announce new partnerships with REI & Tacovore and our continued support from Oakshire Brewing! GOATS hopes to make this a great weekend full of great food, camping, trail work and ride! 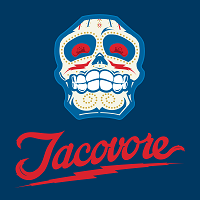 Friday Dinner will be a giant paella from the one and only Chef Chuck and Tacovore will be providing a Taco Bar Saturday night! Friday's start time is 10:00 AM. Lunch and dinner will be provided for workers on Friday. Breakfast (7:00) provided Saturday & Sunday. Saturday and Sunday's start time will be 10:00 AM for non-campers. Make your own lunch in camp every morning. Dinner on Friday & Saturday will be provided for workers. Dinner on Sunday if supplies last. Beer, wine, soda, prizes & campfires throughout the weekend. GOATS will provide hardhats, hand tools and instruction. Please wear long pants, long sleeved shirts, work boots and gloves for working. Don't forget to bring your camp chair, insect repellent, sun screen and water bottle. Bring your bike if you want to get in an evening ride. The camp will be monitored during the day but please bring a lock to secure your bike.